During the last week, I have been spending most of my time in the kitchen, mixing ingredients by hand and giving my oven a workout. Halfway through my two weeks off from work and school, it is a welcome break to spend time away from the everyday grind, a chance to relax and get my thoughts back in order. Though I like to imagine that I will be productive with my newly found time, the last week has proven otherwise, as reality TV shows and sleeping in have sucked away more time than I would like to admit. Maybe it is okay to let myself be lazy every once in awhile. 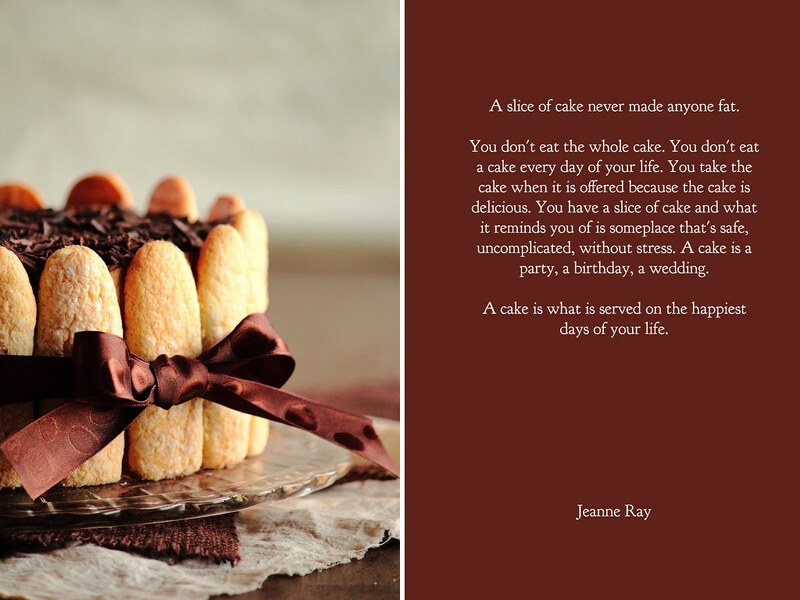 With more time in the kitchen, I have been playing around with elaborate, multi-step desserts, including cakes. 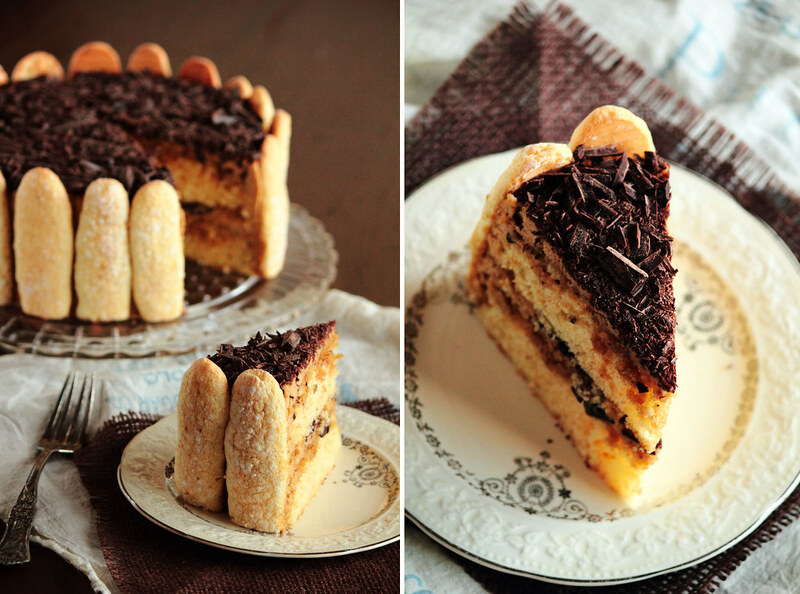 While I love a good layered cake, I could not decide on a flavor, arguing back and forth with myself between fruit and chocolate based cakes and fillings. While fruit is lovely, it had been so long since I cut my fork through a thick chocolate cake that the thought grew tempting. Nevertheless, after a walk outdoors with the weather still settling into early spring, a chocolate cake suddenly seemed too heavy for this delicate time of year. With buds just forming on the bare tree limbs, a sweet, light fruit cake seemed to fit the bill. After a walk through the local market, with pounds of red, ruby strawberries on sale, the deal was sealed. Charlotte cakes originated in France in the early nineteenth century. They traditionally involve fruit purees, sponge cake, and custards or whipped cream frosting. 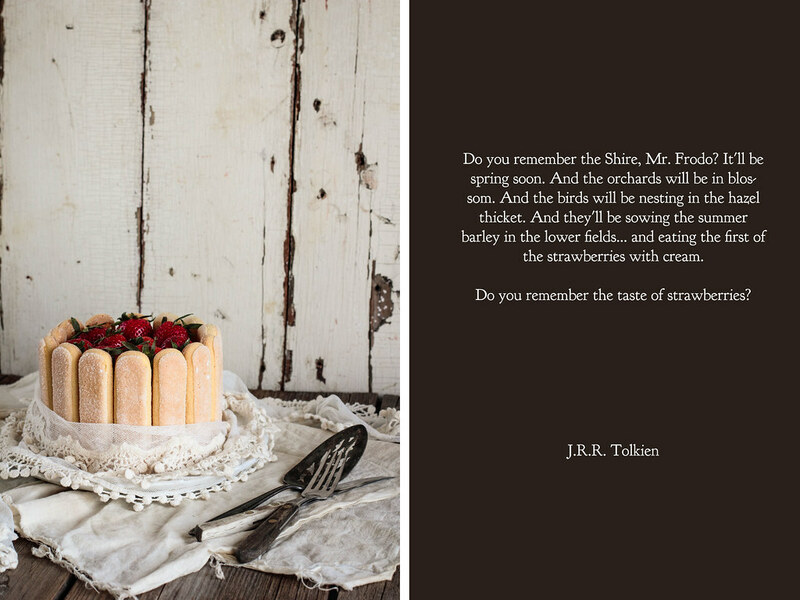 This particular Strawberry Charlotte is not quite as the original cake, but the spirit is just the same. Instead of layers of sponge cake, I used my favorite light vanilla cake recipe and used a strawberry mousse to fill it. 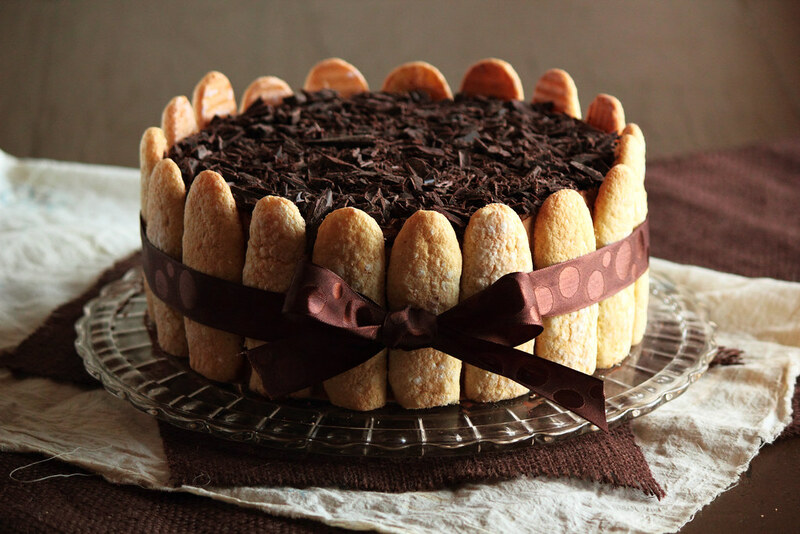 Lined with ladyfingers, either homemade or store bought, the cake becomes quite the sight. While I did not have one on hand, a white or red ribbon tied around the middle would add a gorgeous finishing touch. 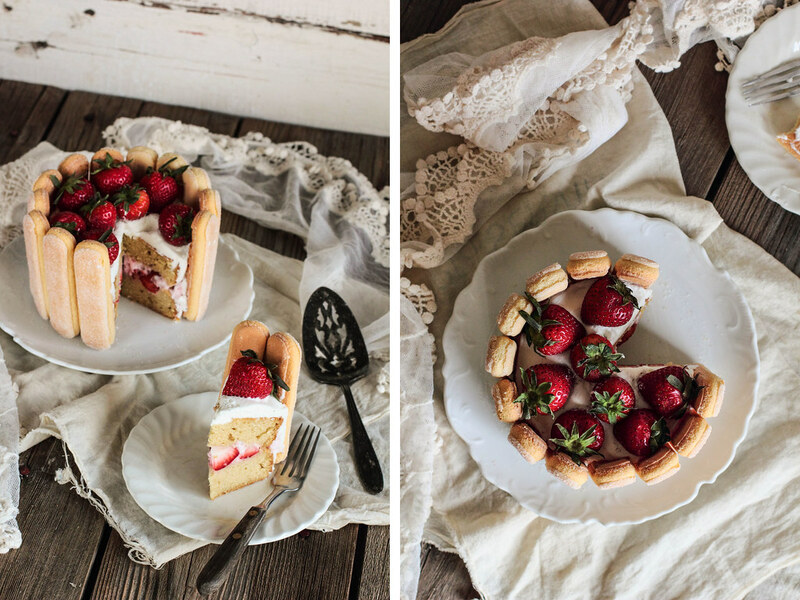 This Strawberry Charlotte is a spring cake that is perfect for all of life's celebrations. 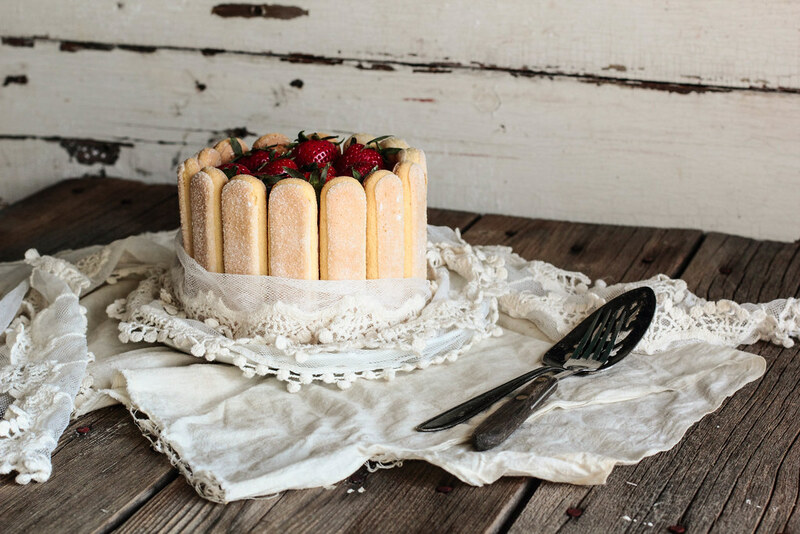 Layers of light vanilla cake are filled with an airy strawberry mousse and fresh strawberries and topped off with a coating of whipped cream icing. The strawberry mousse is made from pureed strawberries, which gives the cake a bright fruit flavor. 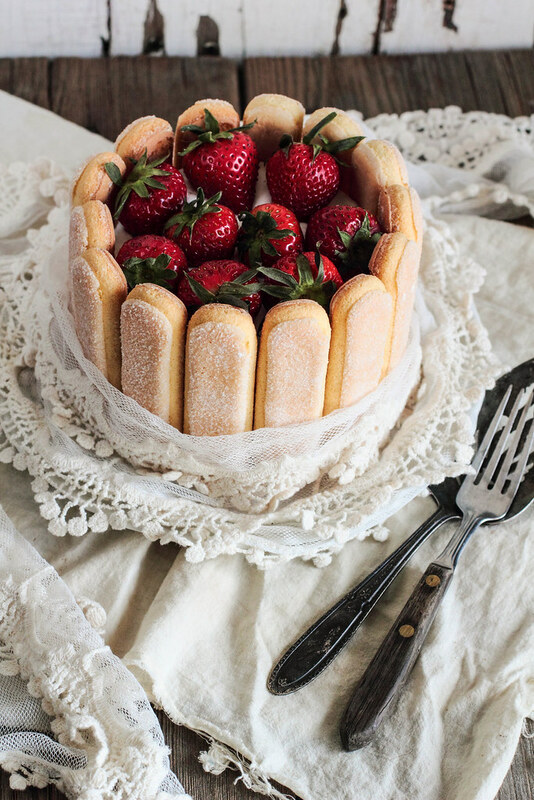 The cake is lined with ladyfingers and graced with whole, fresh strawberries making this a simple, but impressive cake to decorate. Ladyfingers. I've always thought this was an odd name for a cookie. If I let my imagination run free, I can see the resemblance (well, maybe). If I had it my way, however, I wouldn't equate delicate desserts with eating a woman's digits. 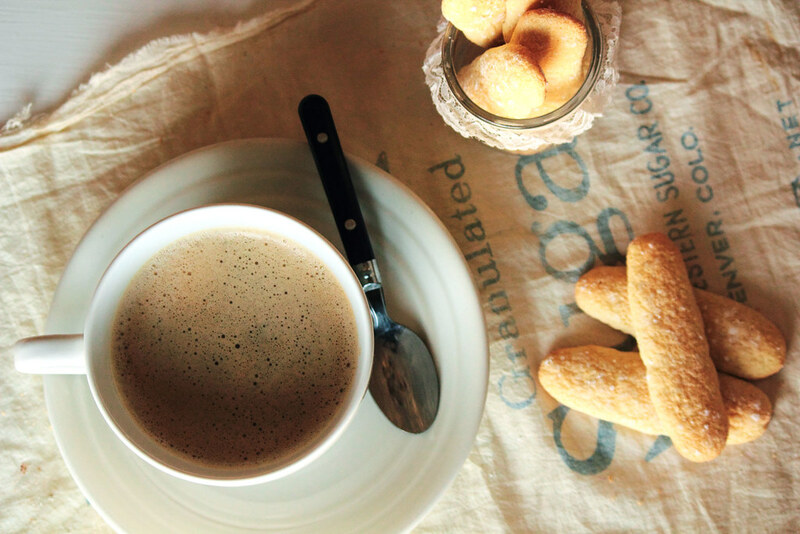 Even so, depending on the part of the world you live in, these little cookies go by other names, such as sponge, savoy, savoiardi, and, my personal favorite, boudoir cookies. Though the cookie has many names, the result is always the same. 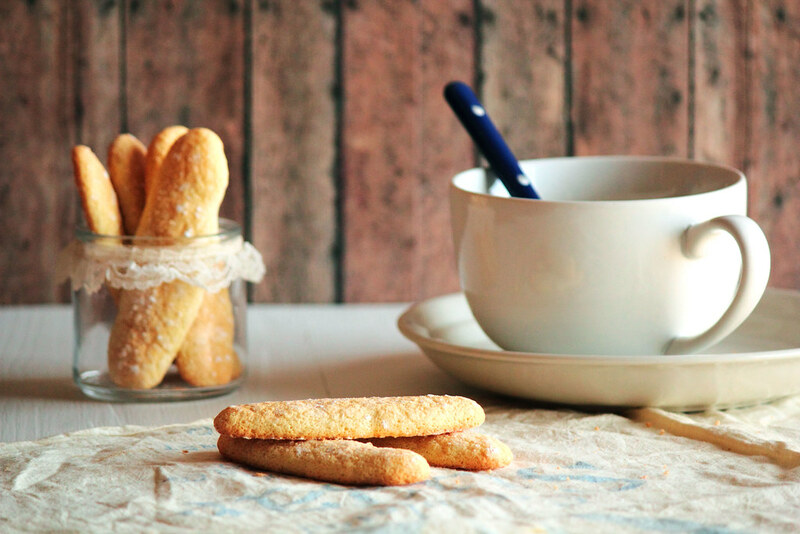 Ladyfingers are an old cookie, born out of the traditions of the eleventh century. The fact that this little cookie stood the test of time for nine hundred years earns my deepest respect. Despite the long history, the cookie has evolved very little in that time. 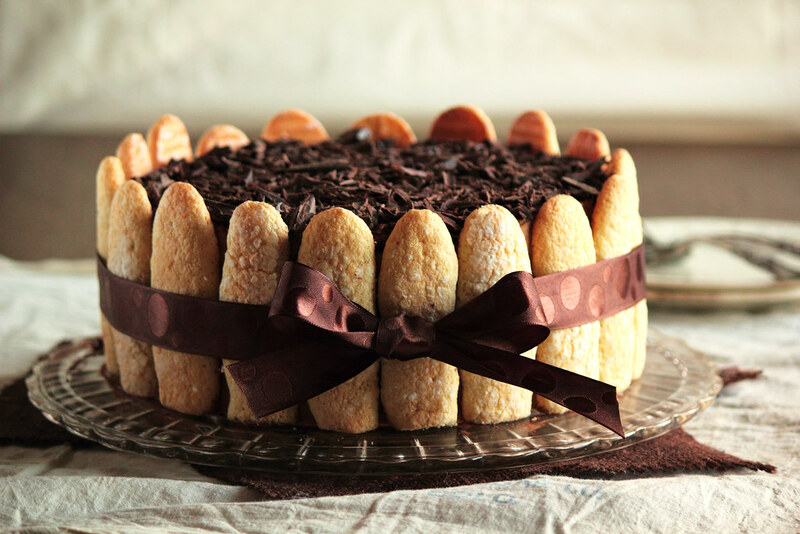 In the fifteenth century, ladyfingers were often given as gifts to the visitors of France. 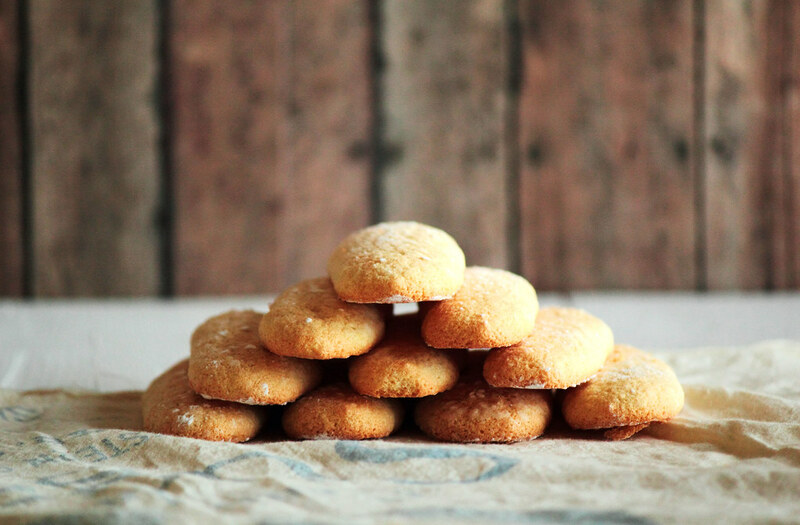 Rumor has it that when Czar Peter the Great of Russia and his wife Catherine came to visit, Catherine fell so hard for these cookies that she bought the baker and sent him back to her home in Russia. 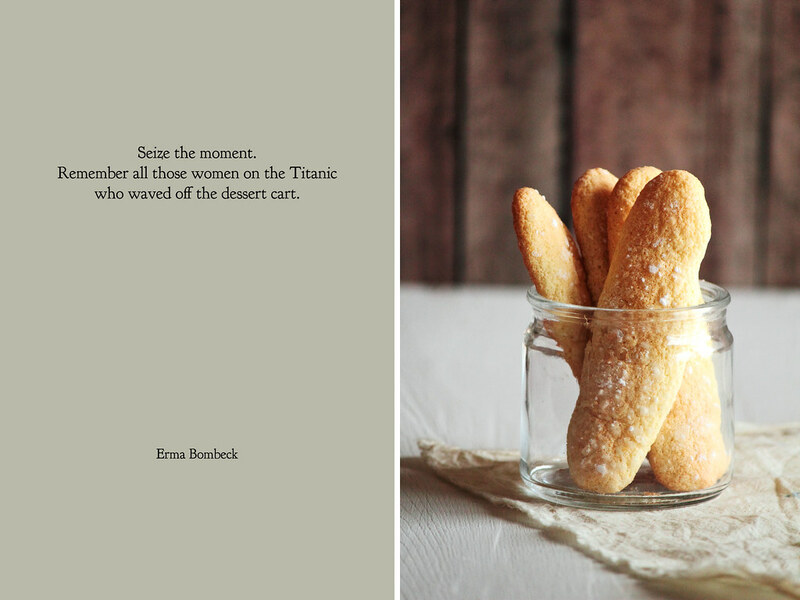 It makes me wonder just how many ladyfingers that poor baker must have made (and how many Catherine must have eaten). I do have a word to the wise to share if you want to bake these cookies. The batter is easy and straightforward to make, but the dough can be a bit persnickety, especially when it comes to temperature. 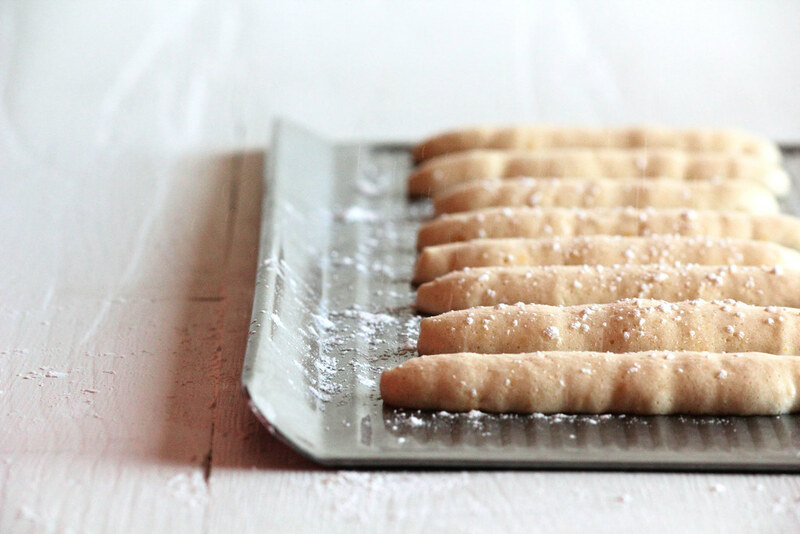 If the room is hot and humid, the lady fingers have a tendency to spread out on the baking sheet, turning the look of the delicate ladyfingers into those from a large man's hand. I may speak from experience. While still delicious, the look is a little less than desirable. However, the problem is an easy one to avoid. Chilling the baking sheet before piping will prevent the ladyfingers from spreading due to the warmth of a summer day (or the heat from the oven). 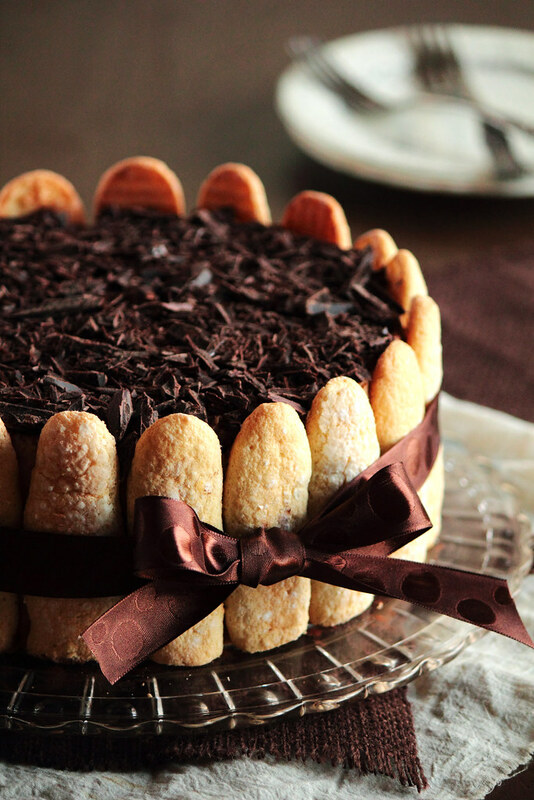 Ladyfingers are light and airy, just as a sponge cake, with a weight that is light as a feather. 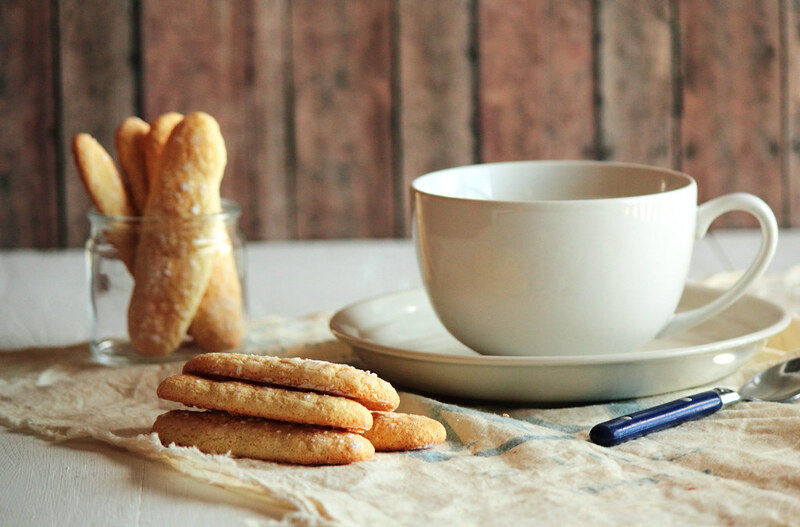 Fresh from the oven, the lightly sweetened cookies are soft and the bottoms are just ever so crisp. 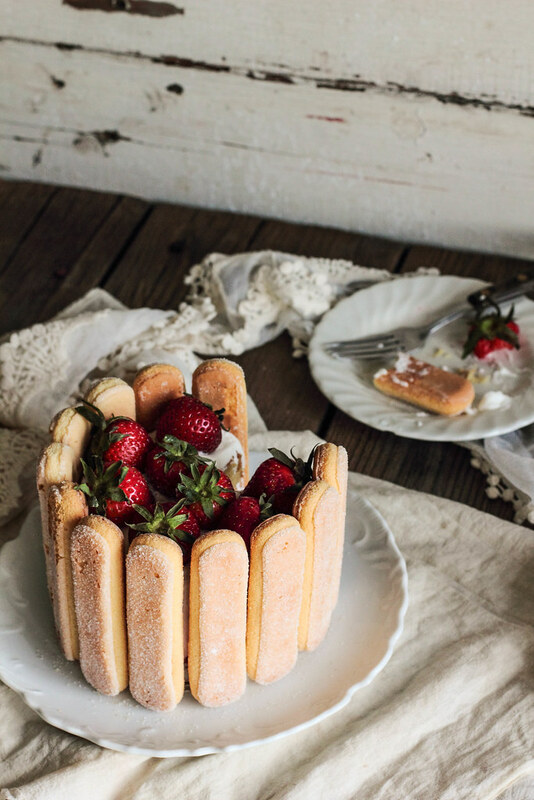 Ladyfingers are individually lovely, but they taste just as well with a side of fresh fruit or a dollop of whipped cream. 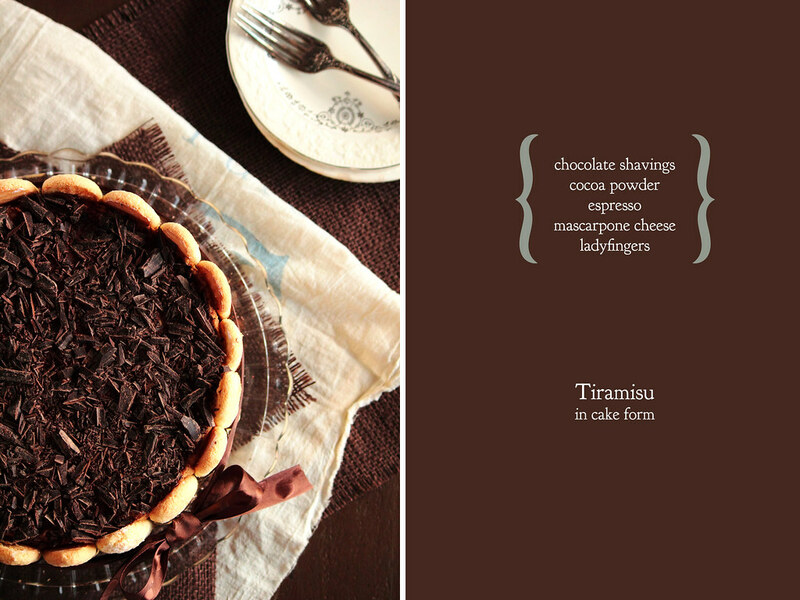 Incredibly absorbent, ladyfingers are also used in more complex desserts, such as tiramisu or trifles.